It´s time for a Revolution (N°5) at Prince Charles again! 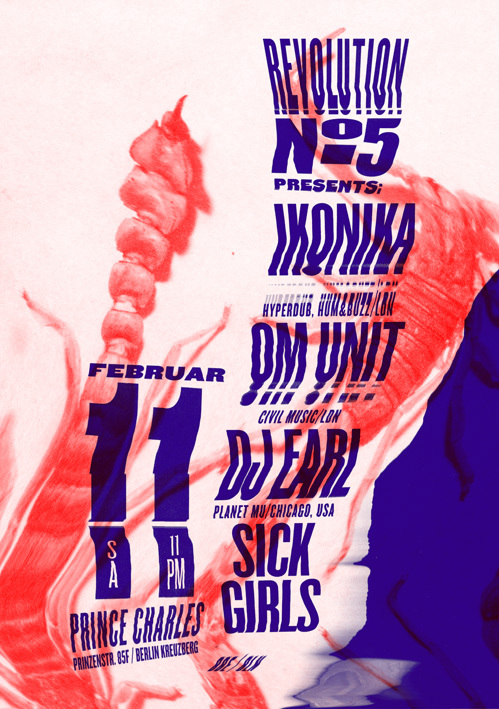 This time expect a great night with Ikonika (hyperdub, hum&buzz/ldn), Om Unit (civil music/ldn), DJ Earl (planet mu/chicago, usa) and the Sick Girls (bbe/bln)! You can win 2×2 tickets! Just comment the post at Facebook till Saturday 3pm!